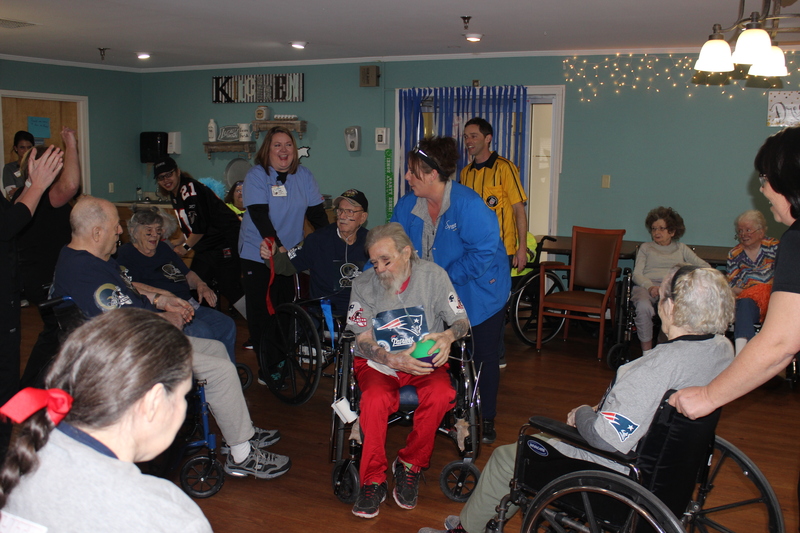 Friday, Super Bowl was amazing, our elders had the best time of their lives, families were excited, stakeholders & rehab made this day a wonderful experience for our elders. One of our players was Wilma, 98 yrs. old and first time to ever play football. Competitive was the only word you could use for the two teams, Rehab Rams & Oakview Patriots. We predict the RAMS to win. Our players have been 100 percent so far on predictions.